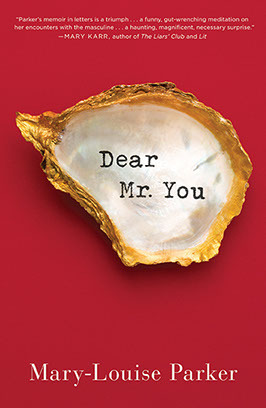 In Dear Mr. You, actress and writer Mary-Louise Parker writes letters to the men in her life, from her grandfather to her ex-fiance to her son (and many fellows in between). In this memoir, we see Parker obliquely, not as part of a narrative but as a narrator, filtering her one-sided vision of interactions with these men. The idea for the book is ambitious, and the execution is pretty genius. There were times when the lack of a clear narrative made this book easy to set aside for a while, but I was always happy when I picked it up again. I feel that eventually, a picture of the author emerges that might have been more obscured through a more conventional format. Before picking up Notorious RBG, I didn't know all that much about Ruth Bader Ginsburg, one of the nine justices who serves in the US Supreme Court. I mean, I knew she leaned to the left, liked to work out, and fell asleep during the State of the Union, all of which made me feel a sense of kinship with her, but I didn't know much about her beyond that. Notorious RBG changed that. It helped me see RBG not as a woman who got where she is in life because she prioritized career over family, but as a woman who delighted in marriage and motherhood, and was inspired by her relationships to fight for the rights of women. When I read obituaries (which I often do), I'm struck by how often the circumstances of someone's life lead them down a particular path. While Ginsburg married right out of college and had a baby on a military base within a couple of years, she also had a uniquely supportive spouse, and his cancer treatments while they were in law school meant that she only had one child for many years. While his condition likely felt devastating to the young family, in some ways they also enabled RBG to give more attention to her career than she may have been able to do had she been raising a larger family. 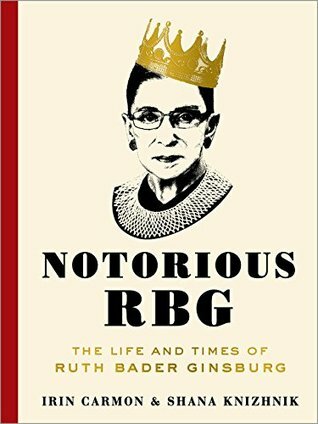 Notorious RBG humanizes Ginsburg, and gives equal weight to quirky things about her private life (she's apparently really good at doing pushups) and the significant achievements in her public life. This is a quick read, and one I enjoyed. Shonda Rhimes is one of my guilty pleasures. I watched Grey's Anatomy with an almost religious fervor when my kids were little, and I still tune in to TGIT for Scandal and How to Get Away with Murder. Heck, I even watched every episode of Off the Map. And as much as I may mock the Shonda Rhimes dramatic monologue, you know I'm a secret fan. 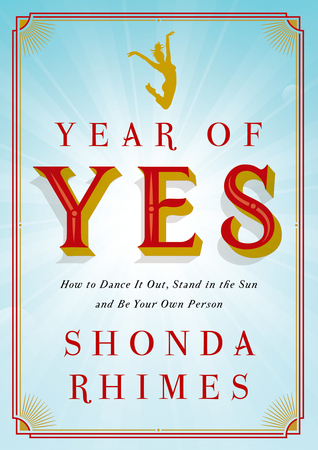 And it's a good thing, because Year of Yes is basically one extended Shonda Rhimes dramatic monologue. The story starts when Rhimes's sister says to her, one Thanksgiving, "You never say yes to anything," and Rhimes decides that for a year, she's going to get out of her comfort zone and say yes to opportunities for growth in her path. These range from giving commencement addresses and losing half her body weight to playing with her children and having the courage to end relationships. There's a lot to be learned here about the ruts we tend to let ourselves fall into, and how to get out of them. I have talked with lots of friends about how much I love her chapter on "doing it all." Rhimes contends that there's no way we can do it all, and her nanny is the only way she's even able to pretend, but even then, when she's succeeding in one aspect of her life, she's letting other areas slide. That was so refreshing for me to hear (trying to write, right now, with a child actually sitting on my lap watching YouTube). I also really loved her insights into her characters, and how ambitious, arrogant intern Christina Yang (from Grey's Anatomy) represented who she was early in her career and powerful, isolated, morally ambiguous Olivia Pope (from Scandal) represents some of how she has felt as she's achieved more success. This is a really fun read, whether or not you're a fan of Shondaland like I am. Just like everyone else on the planet, I've been swept up in the fervor over Alexander Hamilton. I was "this close" to making our entire family detour to NYC during our summer vacation so I could go see the play (by myself, because tickets for eight would cost bank). 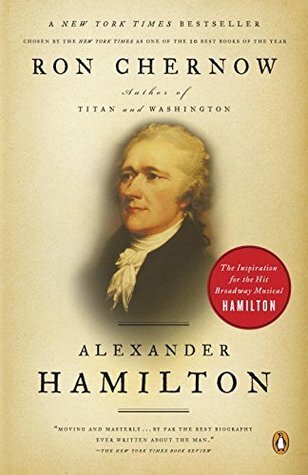 I was so captivated by Lin-Manuel Miranda's musical (and cultural phenomenon) that I finally cracked the book that has been sitting on our shelf for more than a decade, Ron Chernow's Alexander Hamilton. I'm a little embarrassed to admit that I'm not an avid reader of biographies. In fact, I had to create a tag for biographies when I was reviewing this book. But my friend Michelle told me that if I listened to this one, I wouldn't be disappointed. She was absolutely right. While Alexander Hamilton's included the jubilant highs and devastating lows of high drama, the story is putty in Chernow's able hands. He makes the villains (Burr, Adams, Jefferson) and the heroes (Washington, Lafayette) come to life, and Hamilton shines as someone who's as complicated as any central figure in a Shakespearean tragedy. When I started listening the 30+ hour audio version, I was really skeptical, but it took me about a week to power through the story. It's definitely worth a listen, and fans of the musical might just find themselves singing along. I think I started reviewing books on this blog eight years ago. Since that time, I've reviewed everything I've read, and there hasn't been a single time when I haven't finished a book. There have been books I would have preferred not to finish, but I powered through. 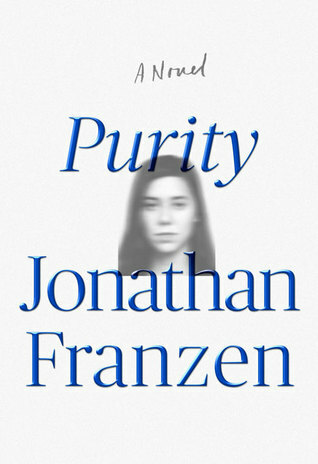 But I couldn't power through Purity, Jonathan Franzen's newest novel. The first two hundred pages of the book (which I where I gave up) follow Purity, a recent college graduate living in the Bay Area, from her crappy job in Oakland to her mother's house in rural California, to Bolivia, where she takes an internship with a German anarchist. I've said this before about Franzen's characters in other novels, and I think it applies here. When I read a book I need someone to care about, especially in a book that's more than 500 pages long. That doesn't mean I need someone I identify or agree with, but just someone about whom I want to know more. Franzen's characters tend to be people I don't care about (this was more true in Freedom than in The Corrections, where I actually did care about the characters, despite finding them kind of repugnant). There was no one for me to hold onto in the first two hundred pages of Purity. Her friends are nasty squabbling squatters, her mom is flaky and narcissistic, and she seems to float on the wind between these characters. Maybe it's because I tried to read this novel on a tropical beach, where everything was warm and sunny and kind of perfect, but I could not find purchase here. There are some kinds of books that simply don't lend themselves to being made into audiobooks. Comic books and math textbooks, for example, have such important visual components that the transition to an audio format would require extra descriptions, and a lot would still be lost in the translation. 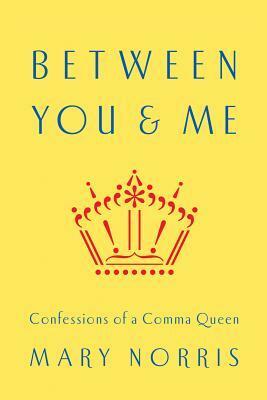 You might not expect that a memoir would suffer from the same fate, but Mary Norris's Between You and Me is definitely a book where the audiobook feels like a pale imitation of the original. Yes, it's true, there are lots of places where Norris tells engaging stories about her life as a copyeditor for The New Yorker. The book is completely irreverent, and she tells hilarious stories (the story about her obsession with #1 pencils was my favorite). However, there are lots of places where she's talking about how the printed word appears on a page. When she talks about the placement of commas, for example, this listener was totally lost. Although I'm an editor, I'm much more a big-picture (or is it "big picture"?) kind of person, and I tend not to care much about the minutae of grammar. In that sense Norris's book felt both pedantic and like I finally started to understand why some people care so dang much about when to use "who" and when to use "whom." If you pick this book up, you'll probably enjoy it, but listening to it often left me frustrated and confused, which is not the feeling you want a reader to have when attempting to demystify grammar.